Malaysia’s image as an open and moderate country took a beating after it tumbled 23 places to land at 147th spot in the World Press Freedom Index 2014, putting it below Thailand, Indonesia and even Myanmar. In the latest annual survey of 180 countries by global media watchdog, Reporters Sans Frontières (RSF), Malaysia’s ranking in Southeast Asia was only better than the Philippines, which placed 149th, Singapore in 15oth position, Laos (171st) and Vietnam (174th). Brunei was 117th, Thailand 130th, Indonesia 132nd, Cambodia 144th and Myanmar 145th. 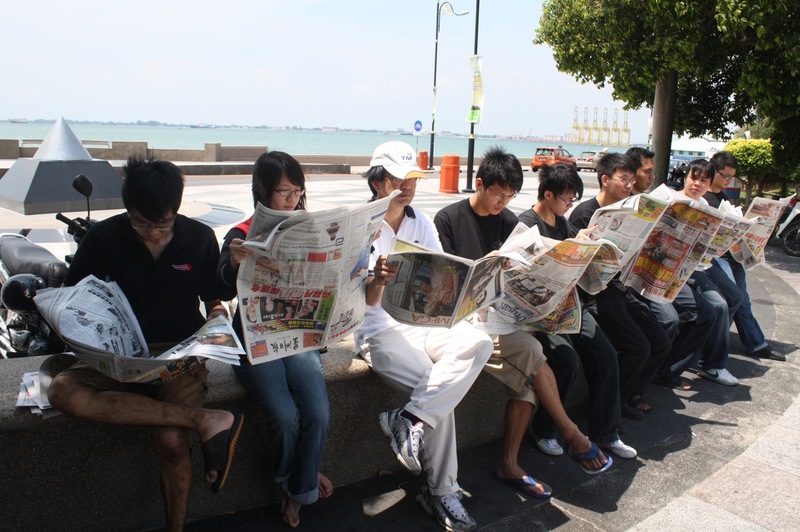 In the accompanying report, RSF noted that Malaysia’s slide began in 2002, as access to information Malaysia now below Myanmar in world press freedom index became “more and more limited”. The report, however, did not disclose the reason for the latest decline. The index is derived from RSF’s surveys with among others, non-profit organisations, journalists and law experts and takes into account the number of violations against press freedom in a country, such as censorship and assaults on journalists. In 2013, Malaysia was ranked 145 out of 179 countries, falling 23 rungs from the previous year. The country already plunged last year to a historic low of 145 out of 179 countries in the 2013 World Press Freedom Index.